Skriver på engelsk da mange besøkende nok ønsker å lese engelsk versjon. Dette er en kort versjon av min anmeldelse, en lengre og mer detaljert versjon kan ventes snart i form av ny fanzine som vil droppe i postkassen rundt release av platen. A Dramatic Turn Of Events is, for my part, a very strong album. It may not be the best album DT has released, but it is clear that it’s created by people who have found great inspiration in the events that transpired last year. Turmoil in your life has always proven to be a good source for creativity, and it’s no different here. It sounds fresh and interesting, yet it still retains certain DT trademarks so that there is never a doubt which band you’re listening to. They’ve gone out of their way to create an album which combines «old» DT and «new» DT, and still having room to include stuff that breaks new ground for DT as a band. Instrument- and performancewise it’s a very interesting album as well, as there’s a lot of «new» and interesting sounds from the bandmembers – Jordan is playing a lot more piano and organ voices than on previous DT albums, and there are a lot of interesting lead voices as well from him. More subdued and yet masterfully played, with tons of emotion. James’ vocals are much more similar to the type he has done in his solo albums, and I for one velcome that change (I’ve always preferred James solo over the latter DT albums). The music is much more balanced this time around, with 4 big prog metal tracks, one more generic pop metal rocker and three quite different ballads. 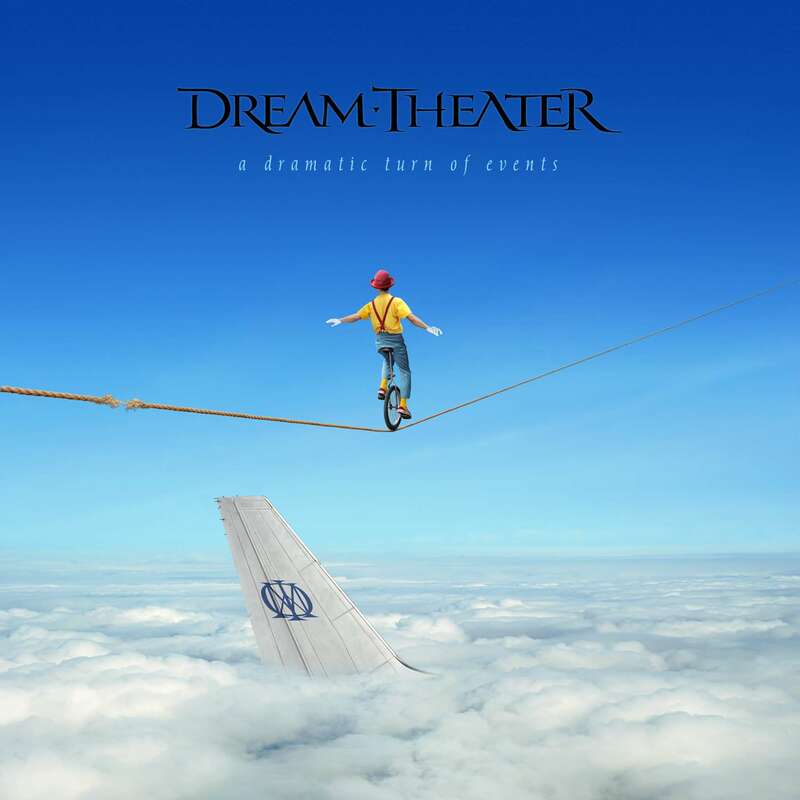 I’ve always loved all these three aspects of Dream Theater (prog, metal and pop), and found them to be equally important for me, so I really enjoy the balance, and the way they’ve spread the songs on the album makes it flow very well together. The big prog metal pieces are not the typical DT «epic» format we’ve become accustomed to over the latter years, the breadth in the music is much more varied, and we traverse genres constantly. You’ll find tons of sections with insane dissonant fusion chords and solo, you’ll find bluesrocky-type guitar solos, you’ll find neo-classical guitar solos, you’ll find instrumental parts that match the complexity of dance of eternity, and at the same time you’ll find soothing, emotional parts, often following eachother. But it’s tastefully thought out, and works really well, and it never feels flashy. On earlier albums I often got the sense that they went complex for the sake of being complex, or fast for the sake of being fast, but I’ve not gotten that feeling at all on this album. They let the music breathe, and there’s a lot of ambience and emotion spread around. Obviously you’ll also find some reuse here, and you’ll be scratching your head from time to time thinking «didn’t this sound familiar», but it’s only for soundbites lasting a second or two, and it feels much more like it’s referencing their older material than just laziness – that is, it feels right in the context of the music and it flows well.